For most, a visit to the Netherlands boils down to a short stay in Amsterdam, strolling along the many canals of the city and enjoying its endless red and green pleasures, if you know what I mean. 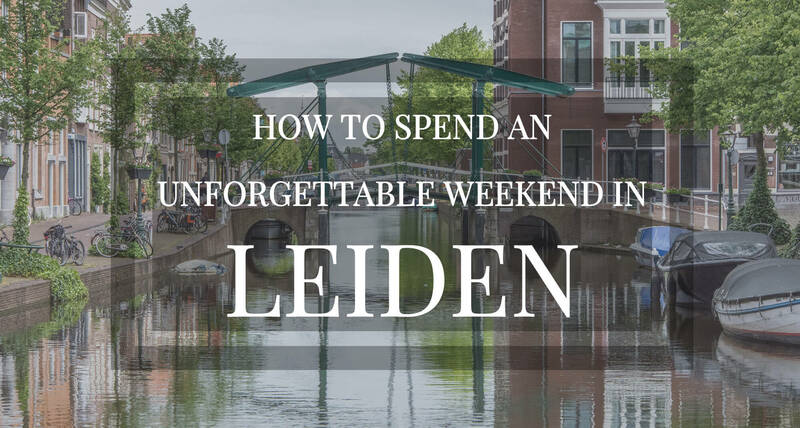 If that’s not enough for you, you’ll be very happy to know that Holland is far more than that and with this new post of our series “How To Spend An Unforgettable Weekend In…” we want to introduce you to Leiden! Back in the early 2000’s David spent a couple of years as an expat in this lovely Dutch town and since the moment I met him he had raved about how cool Leiden is. If you are like me, you have probably never heard of Leiden. David had vowed to take me to Leiden from a very early stage in our relationship. Since I knew next to nothing about the place I would smile politely and assure him that we would some day visit, never really making it a priority. 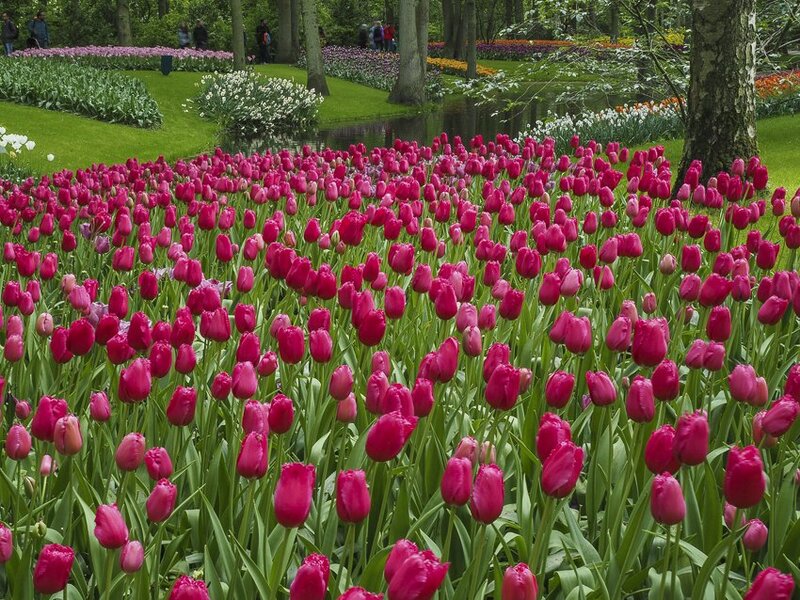 I had always been quite keen to visit Holland to see the tulips so when David suggested we could stay in Leiden and see them I thought, “Why not, lets see what he has been raving about all this time”. Well I am so glad we recently spent a long weekend in Leiden! It oozes charm and cuteness! I have heard it called “Little Amsterdam” and this name could not be a better fit. It has the uniqueness of Amsterdam since it is also built on canals but without the hordes of tourists! Leiden, in South Holland, is a little university town to the southeast of Amsterdam international airport. Its location together with its old-time Dutch charm make Leiden a perfect weekend destination for either a relaxing romantic escapade, an activity-packed family trip or even to be used as a hub to visit nearby cities and attractions. The best way to get all set for this unforgettable weekend is to fly into Amsterdam international airport on a Friday night to be all ready for Saturday. And so we did in our last visit. A short 15-minute train ride took us from Schiphol Airport to Leiden Central train station, where Mirjam, our Airbnb host in Leiden, was already waiting for us. 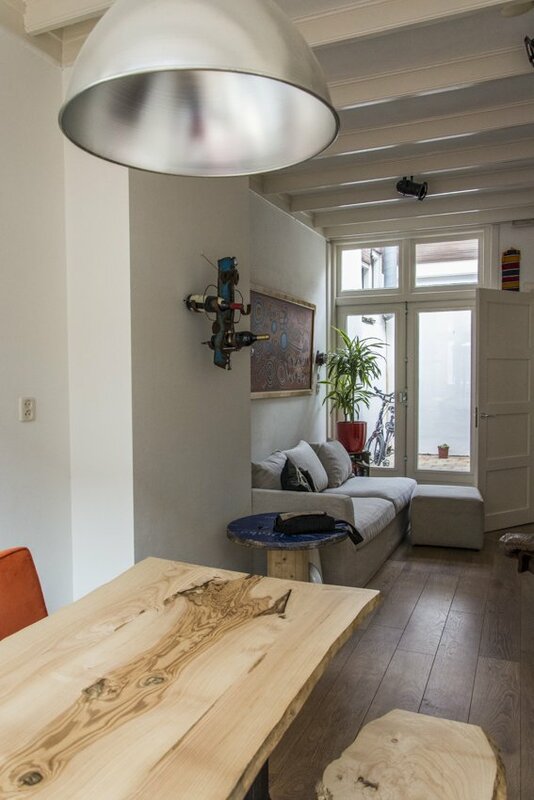 Mirjam’s is a cosy two-story house decorated with African influences and right in the city center but still in a quiet side street, hence we could walk to everywhere. If you want to have the perfect host in Leiden and Mirjam has availability, you can book with her here. Now, I know most of you will try to avoid every tourist spot and cliché when visiting somewhere. In fact that’s what this whole blog is about, right? But sometimes these clichés can quickly take you deeper into the local culture if you’re ready for it. After all, they became clichés in the first place for a reason. If I had to name a few of Holland’s, these would be canals, cheese, tulips and windmills, and you can get them all in or around Leiden! 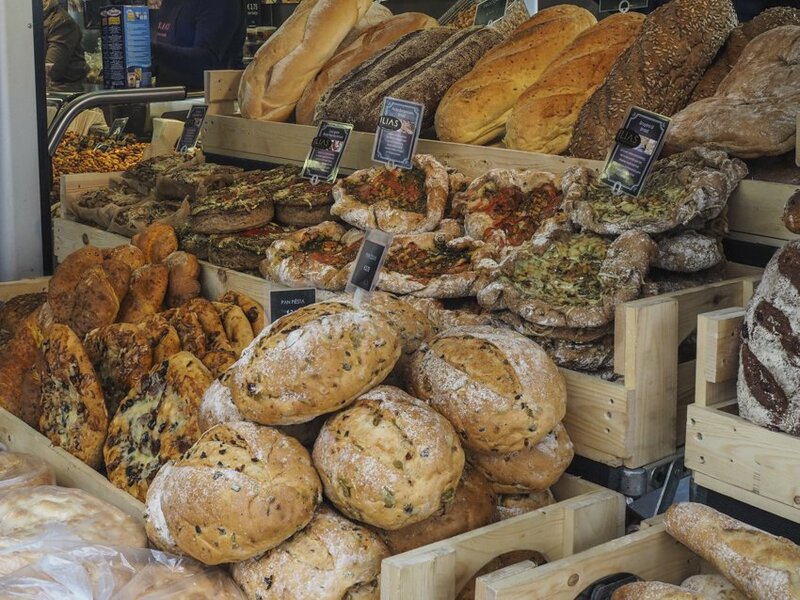 Saturday is farmer’s market day in Leiden and instead of having breakfast at our apartment we decided to go for a stroll along the canals of the town centre to find a cute cosy cafe for brunch before starting to browse the market fare. And we found it! 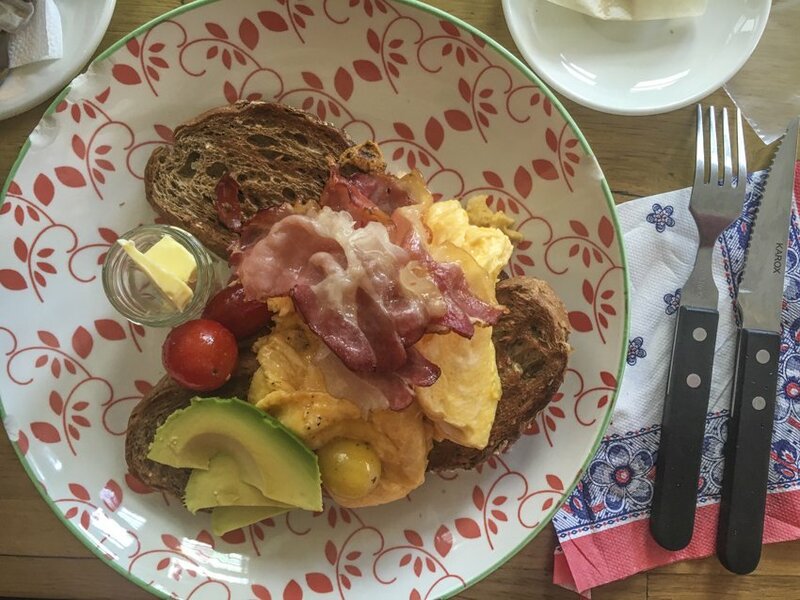 Breakfast or brunch at Roos (Botermarkt 12, Leiden) is a real local experience on its own. This was such a local hang out that they didn’t have a menu in English, which we found was an unusual occurrence. However, the staff were so friendly that our waitress offered to translate for us. After ordering some eggs and home made muesli we got a table in front of the window and watched people walking by loaded with their weekly shopping. Go early if you want a table, it fills up real quick! A step out of Roos’ door and we were right at the market, aka paradise for cheese lovers. If you visit, forget about getting your cheese fix at the airport duty free. If you want real Dutch specialties, go and try any of the cheese mongers of the market. They know their fare and will even invite you to sample before buying. Oh! And it’s way cheaper! Remember that the same rule goes for syrup waffles too! Run as fast as you can from the boxed waffles at the supermarket, they are much better fresh right out of the iron of any of the sweet-smelling stalls around. Eat them on the go or wait till you’re home dipped in a hot drink before they melt. Could you resist? We couldn’t and got the jumbo-sized ones! After the market, it was time to chase the second Dutch cliché: tulips. Yes, you can find tulips in every garden, corner and sidewalk in Leiden, however the best place to see flowers is in Keukenhof (Stationsweg 166A, Lisse), aka Disneyland for flower lovers, not only for the number of tulip species one can find there but also for the hordes of tourists rushing from one spot to the next. To get there we bought our return tickets from the Leiden tourist information office (Stationsweg 26, Leiden) and got onto the bus 854 at the central bus station (right in front of the Leiden Centraal railway station), and in less than 20 minutes we were already at the gates of this park. If you visit around April or May and want that your travel pictures to stand out of the crowd, you are better off renting a bike or a car and taking your time around the flower fields in the Lisse area. Back in Leiden and with still some light to use, it was time to chase for the third Dutch cliché. 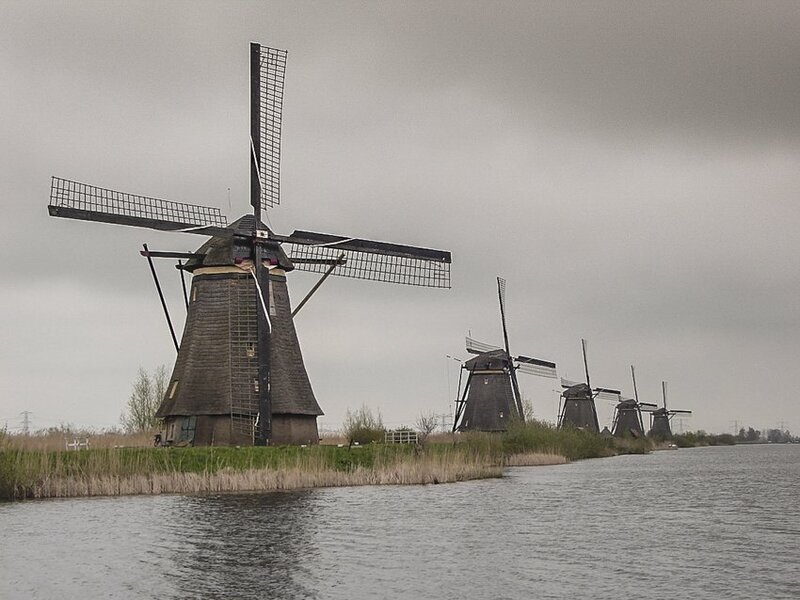 It’s commonplace that the Netherlands would not be the Netherlands without windmills, used first as a means to drain coastal land once under the ocean and later to mill grain, cocoa, chalk,… and saw wood to quickly build ships and make the Netherlands a rich seafaring commercial power. In Leiden there are still a few (reconstructed or restored) windmills that you can visit if you’re curious enough about them. We visited De Valk Windmill (at merely 5 minutes from the Leiden train station, —2e Binnenvestgracht 1, Leiden—) and we were not disappointed. 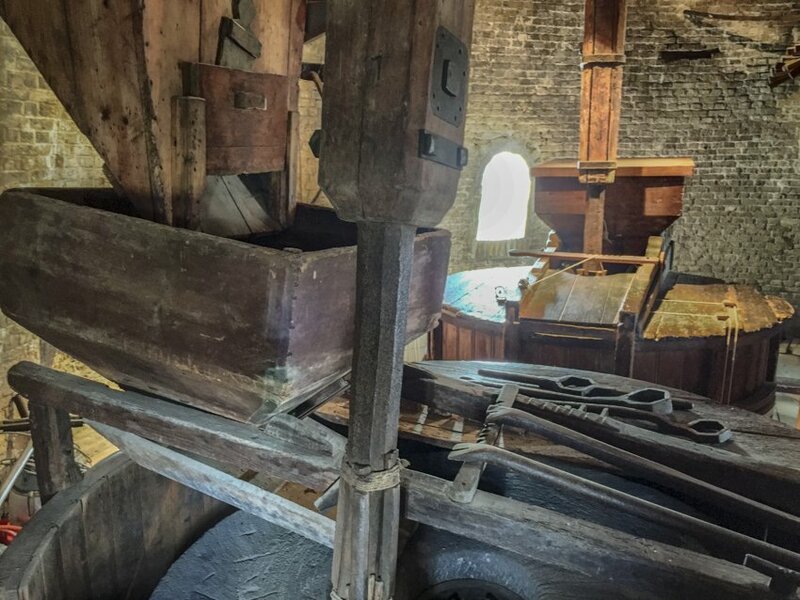 You can even climb its tower to wonder at its 18th century guts and for awe-inspiring views over Leiden. 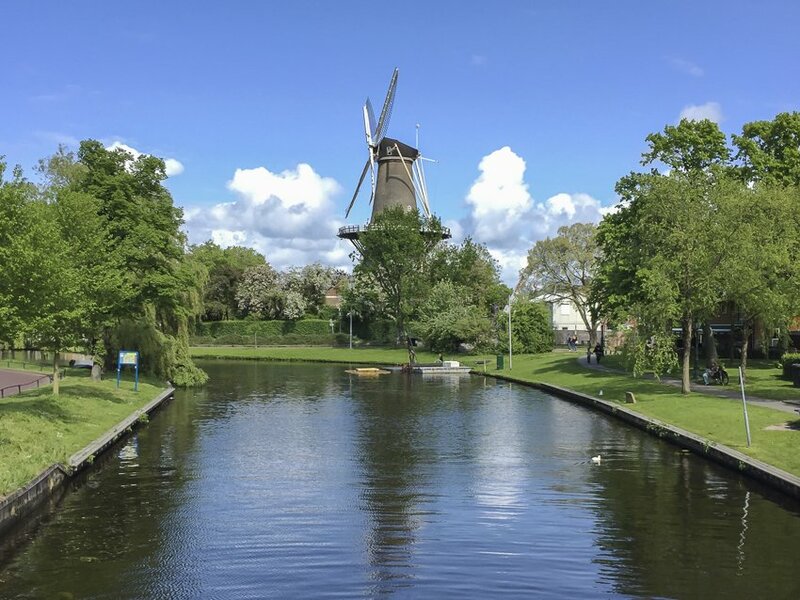 And if you didn’t have enough windmills for a day, grab a car or take your chances with the Dutch public transport and head to the windmill park of Kinderdijk (a UNESCO World Heritage site close to Rotterdam —Nederwaard 1, Kinderdijk—) for the day. There you’ll get your fix for a whole year and it’s a great photography location. After so much sightseeing and cliché hunting we chose to go for dinner at Surakarta (Noordeinde 51-53, Leiden) for some of the best Indonesian treats in Leiden and outstanding service. Talking about good service, we found it to be mostly available everywhere we went in town! There, here you have an action-packed first day In Leiden. You’ll find all Dutch clichés here and you can still add “crazy weather” to the list. A shower here and there is pretty normal in Holland and that should not scare you away. After all, you just get wet under the rain and you dry out very quickly. Pure Dutch style! Leiden is infused with history and the best way to experience it is to wander around and get lost in its cobbled streets. For our last day (or your last day if you decide to follow our proposed weekend plan) we decided to do just that, wander around, before taking the train back to the Amsterdam airport. But first, time for breakfast. We couldn’t have chosen a better café for breakfast. 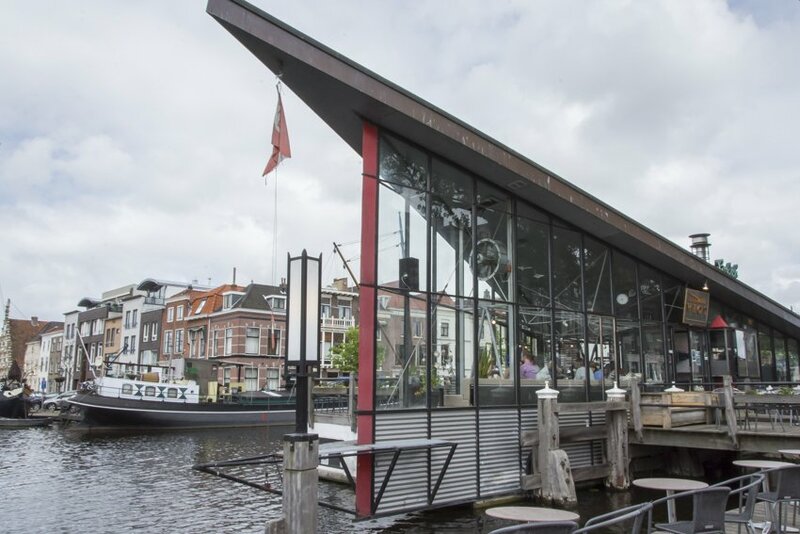 Vlot Grand Café (Prinsessekade 5L, Leiden) is literally floating on one of the main canals in Leiden, with views to the old harbour and an ideal terrace to enjoy the sunshine as a hundred boats packed with families and their picnic baskets sail by. This café also holds a very special significance for us, as it’s where we got engaged! Back to the wandering and getting lost business. 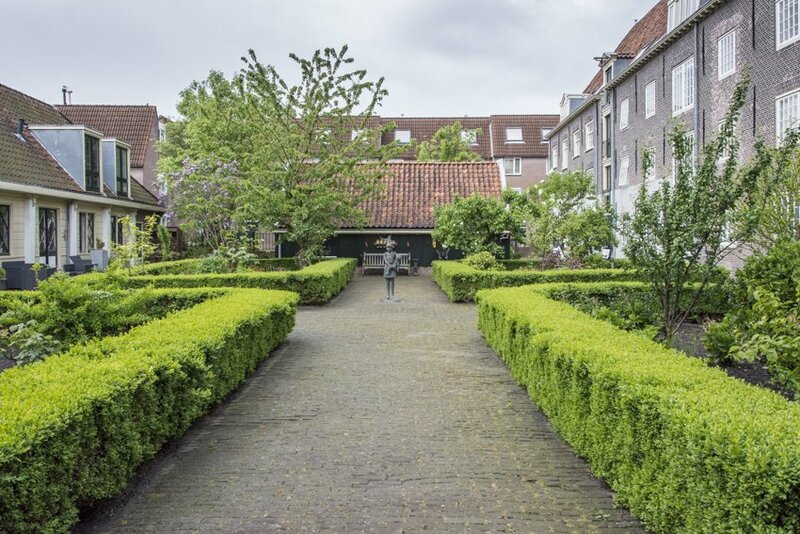 In the city centre of Leiden there are over 30 reconstructed groups of almshouses around central courtyards (hofs in Dutch) that are exceptionally well preserved and still inhabited today. These little Leiden secret gems were very appealing to us and headed to the Leiden tourist information office to grab a self guided walking tour map (some very well spent €2.50) to ensure not to miss any of the courtyards. With a bit of apprehension we decided to go ahead and try our first almshouse of the list. After all, visitors dropping by into some people’s courtyard completely unannounced and who knows what private everyday life activity we might be intruding upon. Immediately after stepping into that courtyard we were invaded by a feeling of utter peace and transported back in time, back when rich and respectable people used to fund these charity houses in life or after dead as a will commandment in the hope that the prayers of their inhabitants would be enough to secure them a well coveted spot in heaven. That was it! The overwhelming beauty of that courtyard made us fall in love at first sight with it and were hooked for more. Our walk took us from the old harbour to the city centre meandering around cobbled streets along the most beautiful canals and city gates in town. 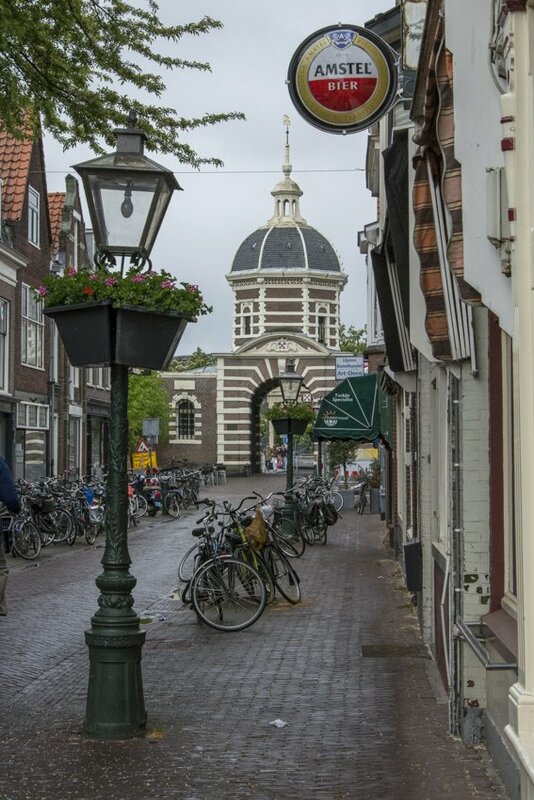 Some of the almshouses we wanted to visit were at that time closed as they were the venues for the Leidse Hofjesconcerten (literally the Leiden Almshouses Concerts), a music festival that takes place every year in Leiden during the Whitsun weekend with music styles for all tastes. This will be an opportunity or an inconvenience, depending on your interests. We found that the most secluded courtyards were however still open and off we went! You should allow some 3 hours to visit all houses in the walking tour map if you want to really enjoy it. After our 3-hour walk we ended up at the entrance of the Burcht. You cannot go to Leiden and skip the Burcht, the only hill that you will see for kilometres (even if it’s a very modest 9-meter man-made one) that holds the 11th century Castle of Leiden (Burcht van Leiden in Dutch). It is the perfect spot for awe-inspiring panoramic views in all directions over the rooftops and church towers of the town centre. At its base you’ll find the café Koetshuis De Burcht (Burgsteeg 13, Leiden), a perfect place for a simple coffee, a refreshment or even a more classy high tea. Or to get out of the rain like we did. And that was the end of our weekend in Leiden but that doesn’t mean there is nothing else to do here if you’ve got the time. Think for a start of a boat tour around the main canals in town or a museum crawl on a rainy day. Also you can use Leiden as your base to explore neighbouring cities and towns on the efficient Dutch public transport system. The bustling Amsterdam is just 35 minutes from Leiden, and The Hague (the most populous city in the Netherlands, home of the Dutch government) and Delft (renowned worldwide for the blue and white pottery produced here) lay both some 20 minutes by train away. And that’s just the beginning! 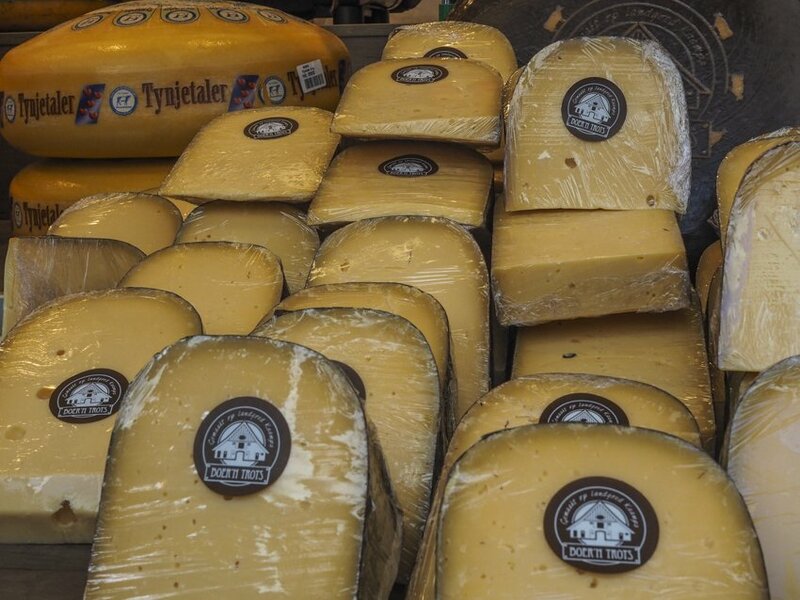 Edam, Gouda and Alkmaar with their traditional cheese markets are just around the corner too. In the mood for some beach time? Head to Noordwijk, Katwijk or Scheveningen. Do you get the picture? Of course, if you stay a bit longer you will need some more eating recommendations. Try a gargantuan Greek dinner at Delphis (Nieuwe Rijn 52, Leiden) or grab a bite at Cafe Van der Werff (Steenstraat 2, Leiden) if you happen to be in the neighbourhood of the train station. 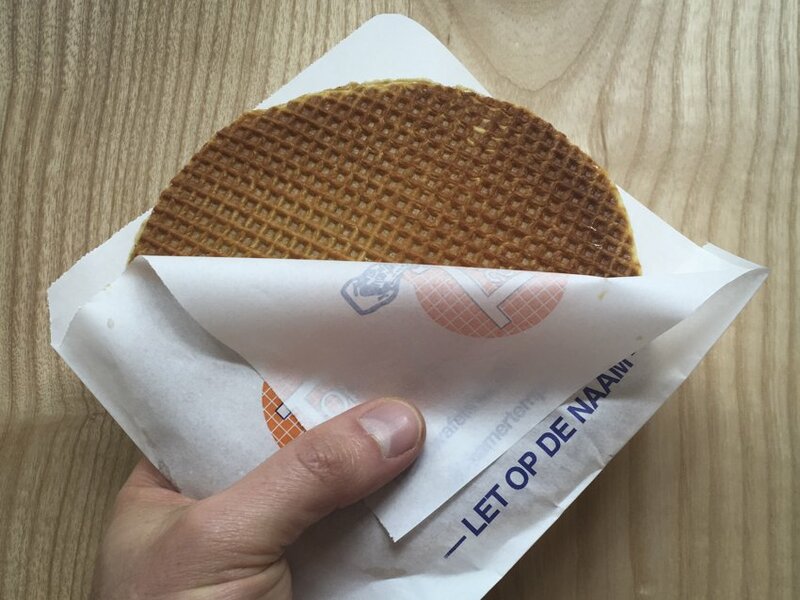 Do you need any more reasons to visit Leiden?! Have you been to Leiden? Do you have any more recommendations to add? Do you have any questions about Leiden? Drop us a line in the comments, we would love to know! Where we stayed: In Leiden we chose to use Airbnb. We stayed with Mirjam and can highly recommend her! 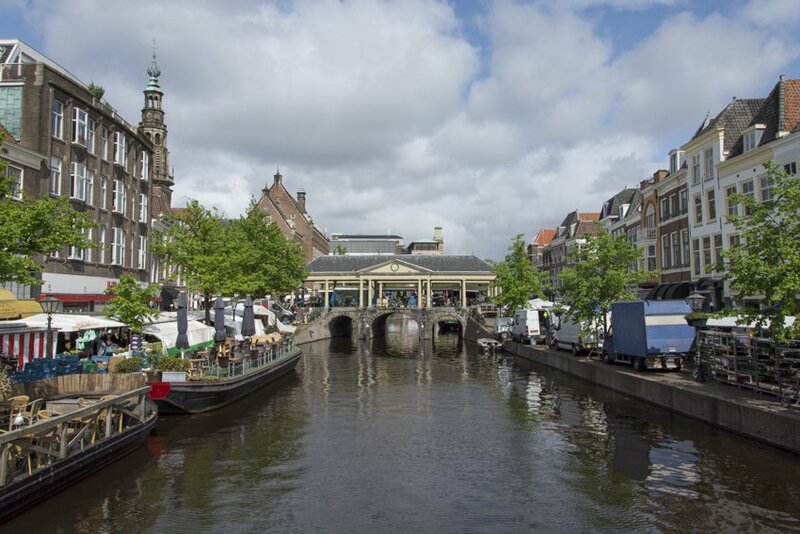 Enjoy a relaxing walk along the canals of Leiden without the hordes of tourists of Amsterdam. Go to the farmer’s market and browse the local specialties in cheese and syrup waffles. 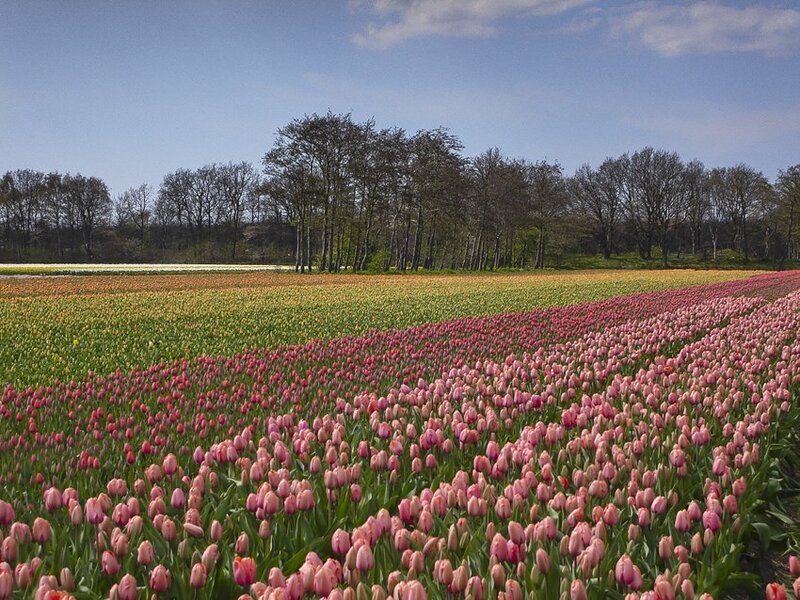 Take the bus to Keukenhof or ride a bike to the flower fields in the Lisse area for your fix of tulips. Visit a restored windmill (or many of them at Kinderdijk) and learn about their history and role in the birth of The Netherlands . 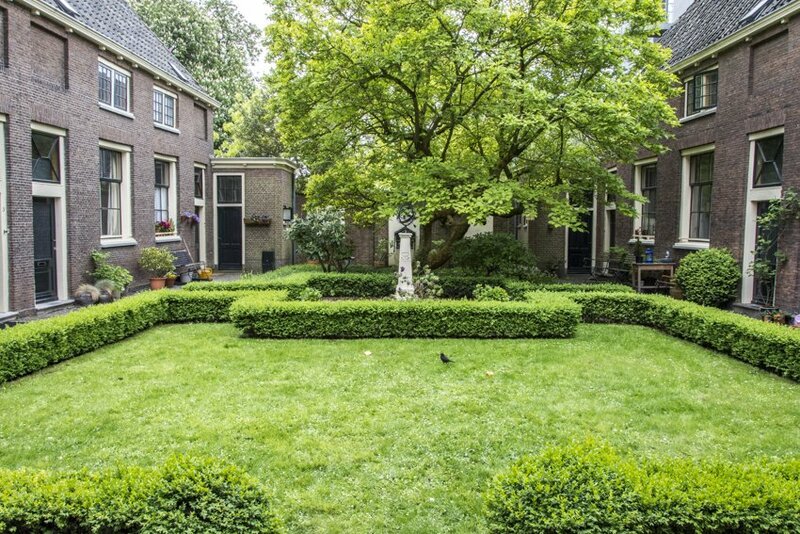 Take a self-guided walking tour around the almshouses in Leiden and get lost in time. 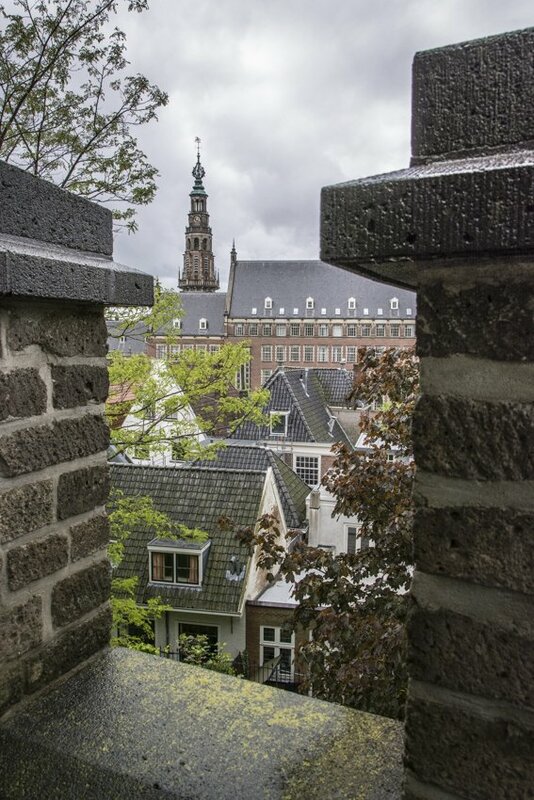 Climb to the Burcht and wonder at the rooftop views of the old Leiden. Our trip to Leiden was privately funded by us. All opinions are our own, as always. 2 Comments on “How To Spend An Unforgettable Weekend In Leiden”. Join the Conversation Here! Leiden is really wonderful any time of the year and so different from Bali… I hope you can experience it by yourself soon!